***BIG DISCLAIMER!! I did this research in 2012 and a lot of this information is no longer accurate (but some still are!). Please make sure and call the restaurant first before you go! If it’s one thing every parent enjoys is seeing a sign that says: “Kids Eat FREE!” 😉 To give you a head’s up on your next family meal out on the town, check out this awesome list of restaurants offering FREE Kids Meals. *Remember – it’s always best to ask first, as participation may vary. Arctic Circle – free complimentary cones, dine in only. Applebees – Kids eat for free on Monday/Tuesday Nights at select restaurants. 1 free kids meal per adult entree purchase but additional kids are only $1.00. Participation may vary so definitely call ahead on this one. In my local hometown we just get $0.99 kids meals on Tuesdays. 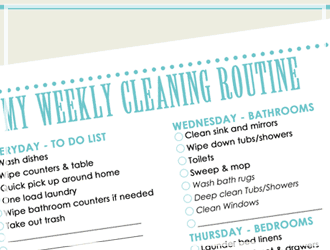 If you love this list how about getting a free printable you can take with you? 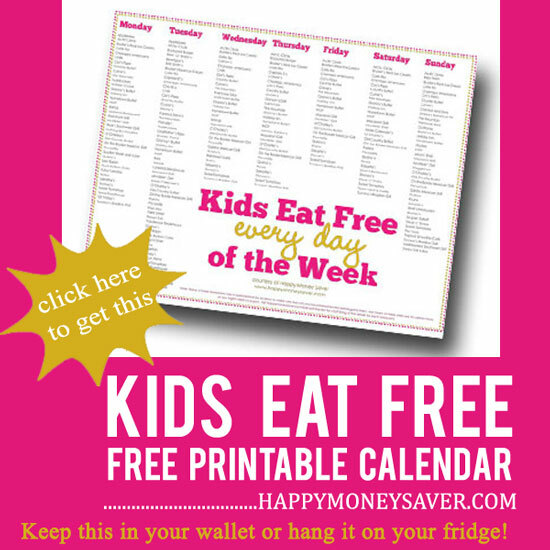 Click below to get your Kids Eat Free Calendar printable. Backyard Burger – Kids eat free on Tuesdays and Thursdays after 4 pm with adult entree purchase. Beef ‘O’ Brady’s – Kids 10 and under eat free from 4-8pm on Tuesdays with adult entree purchase. Bennigan’s – Kids eat free on Tuesdays with one adult entree purchase. Bob Evans Restaurants – Free Kid’s Meal with every Adult meal purchased after 4pm on Tuesdays! Bruster’s Real Ice Cream – Kids who are under 40 inches tall receive a free baby cone. Cafe Rio – Free kids cheese quesadillas, dine in. Captain D’s – Kids eat free restaurants offer the deal on Tuesdays and Thursdays. Limited to 2 free kid’s meals for each adult dinner purchased. Champps Americana – For every paying adult two children can eat free. Chilis – Mon-Wed kids eat free – 2 kids per adult entree. Carrow’s – Kids 10 and under eat for free on Wednesdays and Thursdays. Chik-fil-A – On Tuesdays when you purchase a combo meal you get a free child’s meal (some areas it is $0.99, not free and some areas it’s on a different day, call to check before you go). Culver’s – Children receive a free cup of custard with their meal. D’amico and Sons – Kids eat free on Sunday Evenings. Damon’s Grill – Kids 12 and under get a free kid’s meal on Thursdays. 1 free per adult entree. Dickey’s Barbecue Pit – Kids 12 and under eat for free on Sundays. 1 adult entree and a child’s drink is a required purchase. Friendly’s – Kids eat free on Tuesdays (adult meals have discounts on Tues, as well). Can vary by location. Firehouse Subs – Kids 12 and under eat free from 4-9pm on Wednesdays and Sundays. One per each adult purchase. 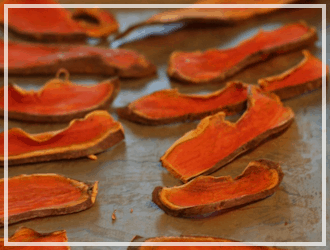 Fire Mountain – Kids eat free with purchase of adult buffet. Use the printable coupon on the kids menu. Fuddruckers – (not free but cheap) 12 and under can eat for .99 (drink is included) from 4-9pm on Mondays and Tuesdays. Locations my vary. Gatti Town Buffet – Kids 10 and under get a free kid’s buffet on Wednesday. 1 free child per adult buffet purchase. Golden Corral – Kids eat free on Tuesday Nights. Granny’s Buffet – Kids eat free with purchase of adult buffet. Use the printable coupon on the kids menu. Holiday Inn – Adults always have to pay, but they do have kids eat free restaurants. Call your local Holiday Inn for details. Hometown Buffet – Kids eat free with purchase of adult buffet. Use the printable coupon on the kids menu. Jason’s Deli – Kids eat free at Jason’s Deli on Sundays – at select locations only, call for participation. Lonestar Steakhouse – Kids 12 and under eat free on Tuesdays – all day. 2 children per adult entree. McAlister’ Deli – kids meals for .99¢ all day every day select locations only. Call for participation. On the Border Mexican Grill – Free sundae with kid’s meal purchase. Perkins – Kids eat free at Perkins all day on Tuesdays. Piccadilly – Kids 6 and under eat for free Monday – Saturday. Pizza Hut – Kids eat free on Tuesday Evenings – may vary per location. Pizza Street – Kids 9 years and under eat free from the buffet on Tuesday from 5-8pm. Ponderosa Steakhouse – Kids eat free from 4pm to close on Tuesdays. Qdoba Mexican Grill – Kids eat free at Wednesdays (some locations) and Sundays (some locations) . Quaker Steak and Lube – Kids eat for free 5pm to 10pm on Mondays. Quiznos — All day, every day receive one FREE kidz meal with the purchase of an entree (sub, toasty torpedo, regular chopped salad). Participating locations only. Ruby’s Diner – Kids 12 and under eat for free Ruby’s Diner after 4pm on Tuesday (call to make sure your Ruby’s is participating. Ryans – Kids eat free with purchase of adult buffet. Use the printable coupon on the kids menu. Salsarita’s – Kid’s eat free with purchase of an adult entree. Shari’s Restaurant – Kids eat free on Saturdays and Sundays from 4-9pm. Shoney’s – Kids 4 or younger eat free everyday with an adult entree purchase. Souper! Salad! – Kids 4 and under at free and kids 5-12 eat for $2.49 on Sunday. Space Aliens – Kids 10 and under get a free kids pizza along and 10 game tokens on Tuesdays with the purchase a regular price adult entree. Steak n’ Shake – Kids can eat free (12 & under) with a purchase of an adult entree valued at $8 or more only on the weekends. Texas Roadhouse – Mondays or Tuesdays (check your location) kids 12 and under eat free. Texas Land & Cattle – Kids 12 and under eat free on Saturdays from 11am – 4pm. 2 free kid’s meals for each adult entree. TGI Friday’s – Kids 3 and under eat for free on Mondays and Tuesdays. Tropical Smoothie Cafe – Kids eat free on Sundays (participating locations). Tony Roma’s – All of Tony Roma’s Kids Eat Free Restaurants offer the deal for 12 and under on Tuesdays. Tumbleweed Southwest Grill – Kids 12 and under eat free on Sundays. 1 kids’ meal free for each adult entree. UNOs – kids eat free Tuesdays. 1 free kids meal per purchase of adult meal. Zebbs Grill & Bar – Kids 10 and under eat free on Sundays with each adult meal purchased. 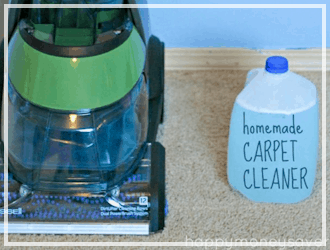 My Ultimate Happy Home Cleaning Routine (plus printable checklist) – its how I keep my sanity. 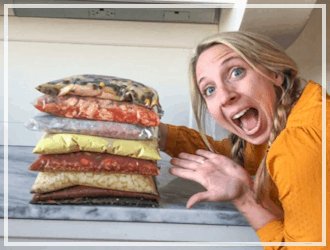 Making 50 FREEZER MEALS in a day – you can do it too, my menu is the best one out there I have been told. So I Married A Couponer – a fun story series about an average man trying to deal with being married to an extreme coupon shopper. His story must be told. How to Find the Best Deals on Toilet Paper – I worked my tail off to research that question…what is the BEST VALUE on toilet paper? I think you will like this! 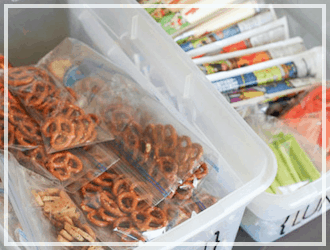 The Coupon Box Method – How I Organize my Coupons – Yep, I am a coupon shopper and this is how I organize!. 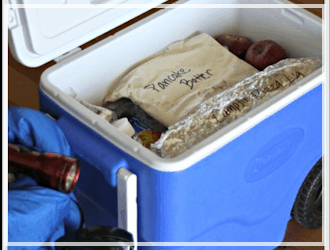 Cold Lunches in a Day – I created a simple way for me to make sure my kids get a healthy cold lunch everyday – check it out. 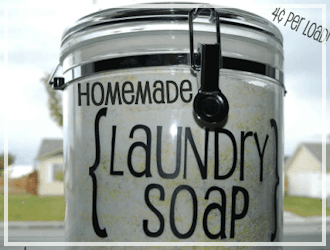 How to Make Brown Sugar from Scratch – yep, I do it and you can too! 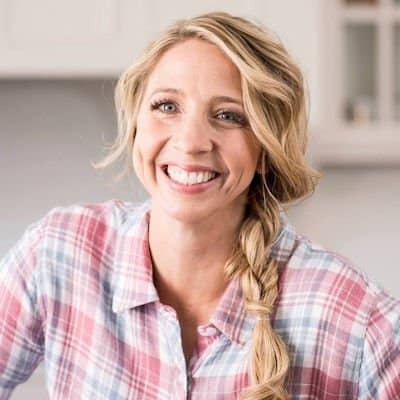 Plus I also have quite a few other frugal recipes you might like to see..
Karrie, this list is awesome, and I agree, these deals change fast! I just find it best to contact the restaurant directly before heading out to be 100% certain! DO call! And even if it says a chain offers it, some independent owners do not acknowledge. I learned this the hard way. Here’s an extensive list of restaurants that offer kids eat free deals. The list is updated regularly. I hope this helps your readers!